Another one of those "hidden-pathway" photos. 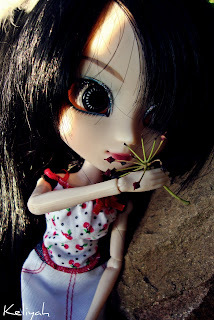 There have been a whole lot of doll photos on this blog lately, so I'm super grateful to have found this lovely nature photo and, also, the permission to share it with you guys. I really love this photo; it just looks so real and beautiful, and it makes me think of the song "Home" by Daughtry - which is, like, one of the best songs ever. If you've never heard it, you need to hear it.... because the melody is really good and the lyrics are pretty amazing. Okay, back to the post. I was able to get an interview with the photographer of this photo, and she was so nice and cheerful. I think the interview went very well, but tell me - what do you guys think? The quick interview is below! Posted by Cloe Bowie at 8:00 AM 3 comments, so far - share your thoughts! I love this drawing so much; it's sad in the cutest way. My most favorite part is definitely the teddy bear. It reminds me of a teddy bear I really want on GaiaOnilne.com for my avatar; it's gray, and it has a sad look to it - just like the one you see here. 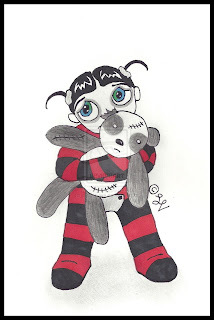 I used to love teddy bears; they were up there with dolls, on my favorite toy list. I'm going to try to post more often about teddy bears, because they're very similar to dolls, and so I surmise a lot of you would probably like to see them on here. Now, back to the post. The artist's name is Sarah, and the little girl in the drawing's name is Abby. Words from the artist (about the drawing): "This is one of my characters, Abby, when she was a toddler. Having been abandoned at the boarding school hours after she was born, she grew up under the care of the school's owner - Heath. He actually adopted her and loved her as he would his own daughter. One night, Abby was quite surprised and felt very stupid when Heath said; 'Of course you can sweetie.'" Aww! Isn't that the sweetest? That's not all, dollies; Sarah was kind enough to allow me to ask her many questions about Abby; the interview is below! Posted by Cloe Bowie at 8:00 AM 0 comments, so far - share your thoughts! 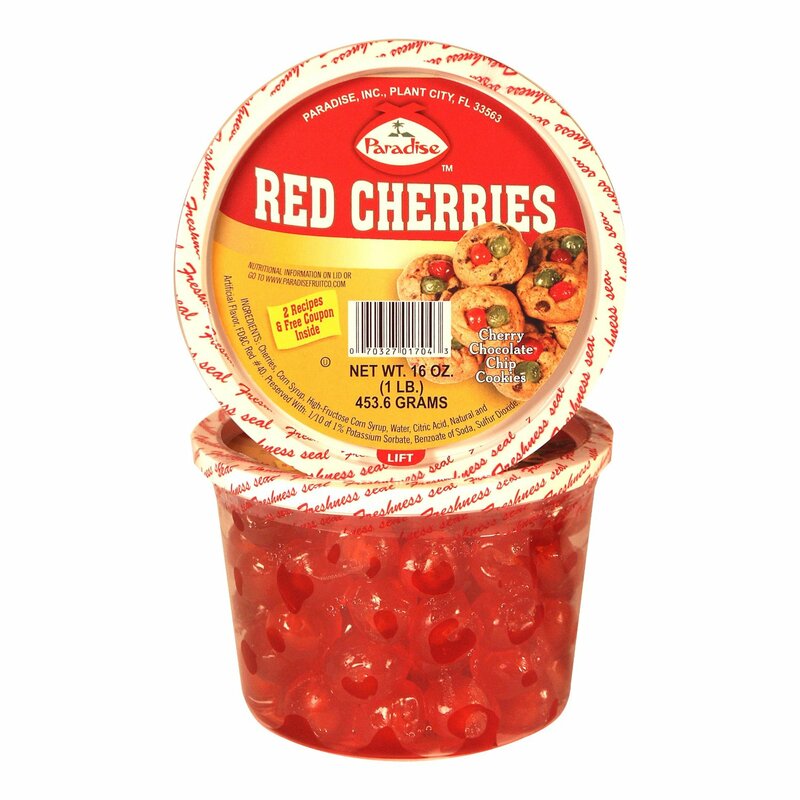 Cherries are so nice. 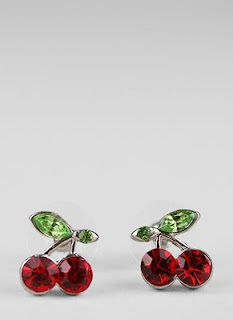 They taste delicious, and they look fabulous on clothing. As you can see, the doll on the left is looking very fashionable in her cherry, polka-dotted top. So, what kind of fruits do you guys like? 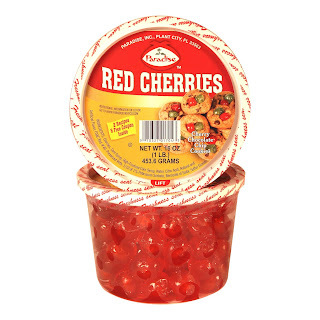 Random-ish, but look at these "Paradise Red Cherries, Whole, 16 Ounce Tubs (Pack of 3)" - available for only $17.22 at Amazon.com! 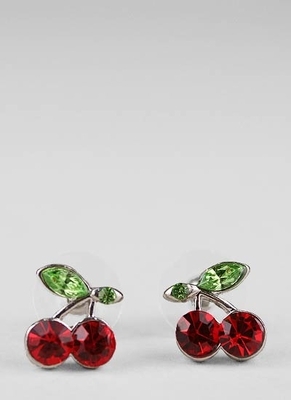 I, also, suggest you check out these "Rhinestone Cherry Earrings" - available for only $6.50 at GoJane.com! Greetings, dollies! Okay, so things have changed with this blog since yesterday; mainly just the template, but there are a few new "add-ons" that I'd like to point out. Firstly, right besides the welcoming sign, there's a banner for "Invisible Children" - which is a very good organization to stop the abduction of children for use as child soldiers. To learn more about it, visit "InvisibleChildren.com". Oh, and while you're at my blog, please, click the "Invisible Children" banner I have up; it's free and each click will help earn school fees for an Ugandan child. "I love how beauty can be perceived in many different ways, I wanted to capture something where something as pretty and delicate as a doll can show that even if a person has a few cracks and missing pieces they can still be beautiful and accomplish love, or even find it in the most obscure way possible." Posted by Cloe Bowie at 5:00 PM 2 comments, so far - share your thoughts! Okay, I love this. Look at this; is this an amazing work of art or what? 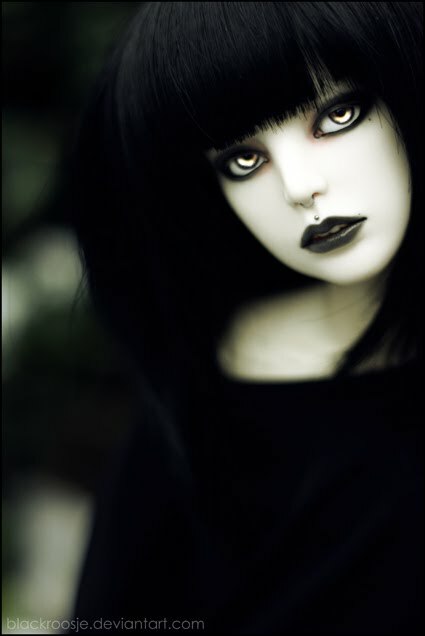 Seriously, there's so much meaning within this photo: dark, sad, mysterious, wistful, fearless - I could go on and on. My very favorite part about this doll is, by far, his eyes; I love the color, and I don't even know what color they are - gold, maybe? All I know is that they're so round and so shiny, and I love them! 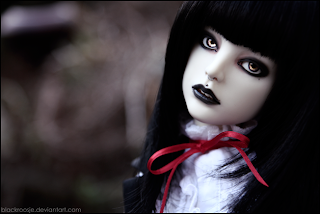 The doll's name is Muse, and yes: he's a boy. Oh, and P.S. I got a little interview with Muse's owner - must read! What would you describe your DeviantArt gallery as? : My world, my thoughts and myself. 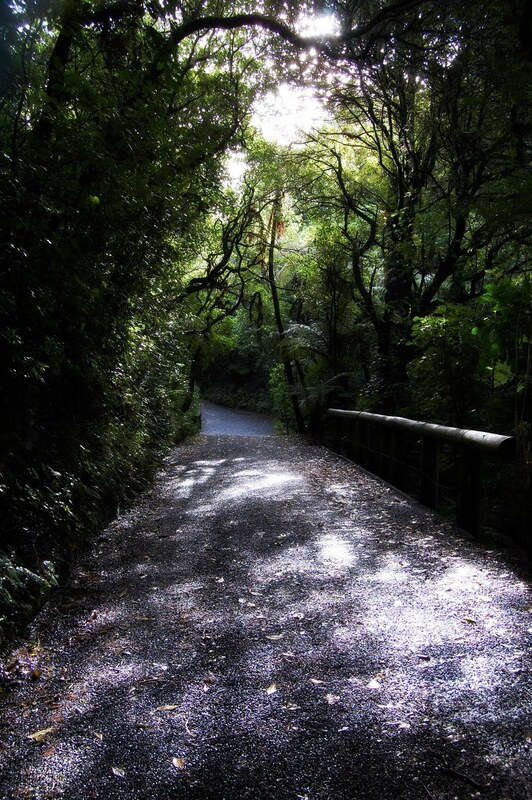 Where does the inspiration for all your beautiful photos come from? : From anywhere. I get my inspiration from all things around me, but Japan and the band Plastic Tree are two big inspirations. What do you like about dolls? : You can create them as you want and give them a whole own life. Make an own story with them. 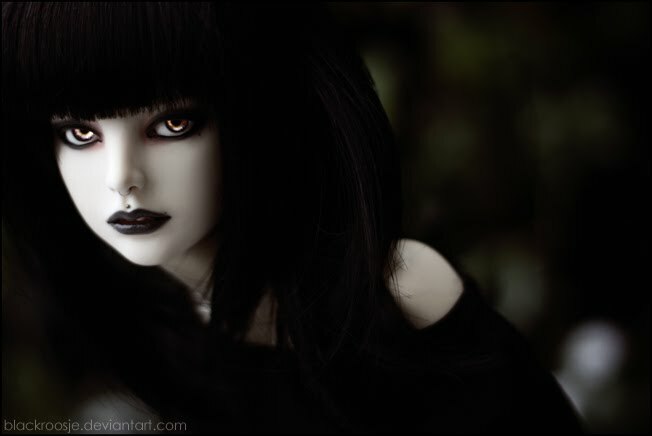 Honestly, you guys, the girl has so many amazing photos of her doll, Muse - I had a hard time figuring out which ones to share on this blog. Some of my other favorites included: "Best safety lies in Fear .1. ", "Together again", "Border of Taboo .4. ", and "Happy Halloween 2" - I suggest all of you have a look at them! Posted by Cloe Bowie at 8:00 AM 6 comments, so far - share your thoughts! Greetings, dollies - how are you? Posted by Cloe Bowie at 9:20 AM 0 comments, so far - share your thoughts! Wordpress Theme by wpthemescreator .